Quality custom pads for every major make. Quality custom pads for every major make of disc brake. 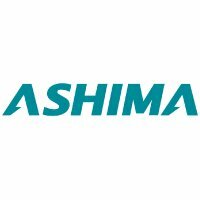 Ashima make 2 styles of disc pads: Semi Metal and Sintered. Ashima Sintered pads offer better braking performance under high temperatures so we recomend them for dedicated DH riding. Thanks to their ability to offer even and consistent performance in all conditions, Ashima Semi-Metal pads (Web Ref: 9528) are the choice of most XC riders in Britain.